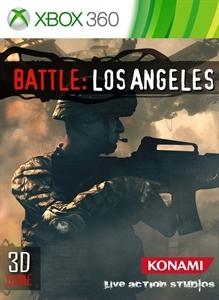 The big movie this weekend is Battle: Los Angeles and the game is available on XBLA. I saw the movie todaym and thought it was pretty good, but I didn't even know the game was out. From the screenshots, It looks to have decent visuals, so I wonder how the game will play. "As the world’s great cities fall, there remains one place that becomes the last stand for mankind in a battle no one expected. It’s up to you to take on an enemy unlike any ever encountered before."